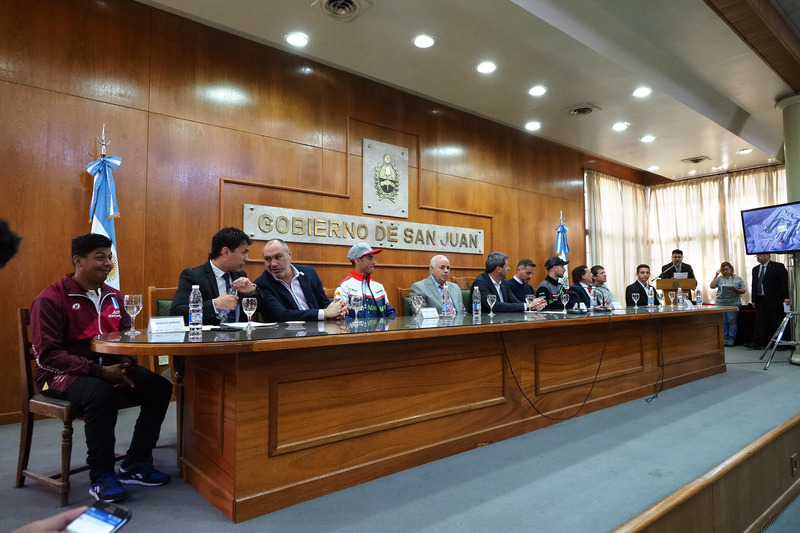 Anticipation is continuing to build as the MOTUL Argentinian Round is just around the corner, and the local San Juan government welcomed the MOTUL FIM Superbike World Championship this morning in a pre-round press conference at Casa del Gobierno de la Provincia de San Juan. 2018 world champion Jonathan Rea (Kawasaki Racing Team WorldSBK) and home hero Leandro Mercado (Orelac Racing VerdNatura) were introduced to Dr Sergio Uñac, Governor of San Juan and Jorge Chica, the secretaty of sport for San Juan, amongst other officials. Able to express their delight as the series prepares to visit its 49th circuit, they received a warm reception from local members of the press. Alongside series executive director Daniel Carrera and Nicolas Demaria from title sponsor Motul, they are preparing for one of the biggest sporting events the region has ever seen, and the San Juan province are eager for the weekend to get underway in South America.